Last month, Walmart gathered some of America’s biggest household brands near its Arkansas headquarters for a tough talk. For years, Walmart had dominated the retail landscape on the back of its “Everyday Low Price” guarantee. But now, Walmart was too often getting beaten on price. So company executives were there, in part, to reset expectations with Walmart’s suppliers — the consumer brands whose chips, sodas and diapers line the shelves of its Supercenters and its website. 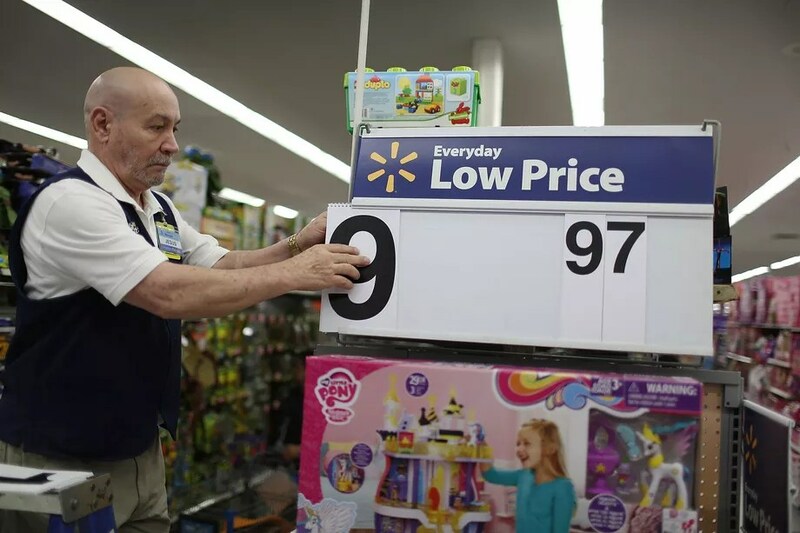 Walmart wants to have the lowest price on 80 percent of its sales, according to a presentation the company made at the summit, which Recode reviewed. Brands that agree to play ball with Walmart could expect better distribution and more strategic help from the giant retailer. And to those that didn’t? Walmart said it would limit their distribution and create its own branded products to directly challenge its own suppliers. But this time around, Walmart’s renewed focus on its “Everyday Low Price” promise coincides with Amazon’s increased aggressiveness in its own pricing of the packaged goods that are found on supermarket shelves and are core to Walmart’s success, industry executives and consultants say. The pricing crackdown also comes in the wake of Walmart’s $3 billion acquisition of Jet.com and its CEO Marc Lore. Lore now runs Walmart.com and has said one of his mandates is to create new ways for the retailer to beat everyone else on price, including Amazon. The pricing pressure has ignited intense wargaming inside the largest CPG companies, according to people familiar with discussions at Procter & Gamble, Unilever, PepsiCo, Mondelez and Kimberly-Clark. There is no one-size-fits-all solution. Representatives for these companies either declined to comment or failed to respond to requests for comment. Executives inside these companies would only speak on a condition of anonymity because negotiations with retailers are confidential. Walmart did not provide a comment.